Plus: All of these Airbnb cabins near Philadelphia are no more than a two-hour drive away. 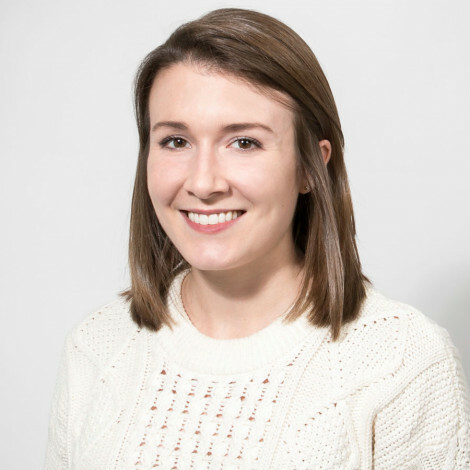 By Caroline Cunningham·	 9/24/2018, 8:00 a.m. 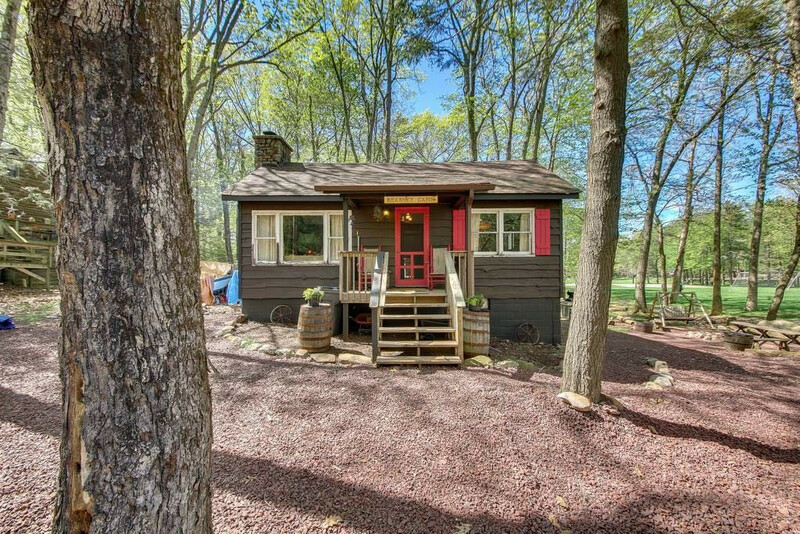 This cozy cabin is just one of the Airbnb cabins near Philadelphia to book. Photograph via Airbnb. Now that fall is here, we’re ready to spend every weekend hitting the trails and enjoying the gorgeous fall foliage. 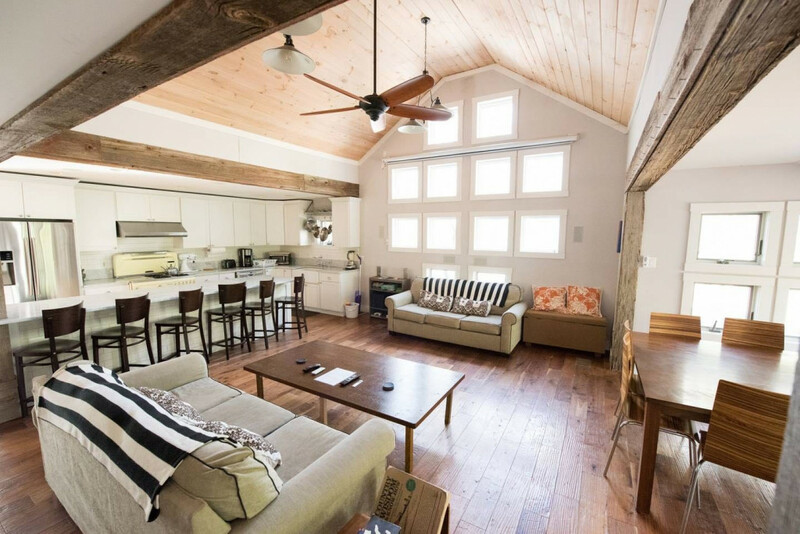 To turn an outing into a full mini vacay, we’ve rounded up five Airbnb cabins near Philadelphia that you can book to make your home base during a weekend’s worth of hiking. Ready to explore the great outdoors of Pennsylvania? Read on for our pairings of Airbnb rentals and hiking itineraries. 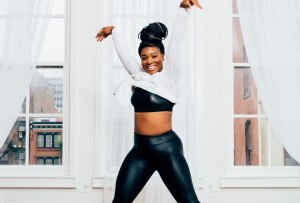 This chic home is one of several Airbnb cabins near Philadelphia. Photo via Airbnb. This chic, modern chalet near Jim Thorpe has a whopping four beds for up to 15 guests. Book it for the weekend for you and your partner — or invite all your friends to come along as well to enjoy movies on the 120-inch projection screen, s’mores over the fire pit, and dips in the outdoor hot tub. Ooh la la! Price: Starts around $300 per night. Where to hike: Lehigh Gorge State Park, where there’s over 6,000 acres for the exploring. This Airbnb is right by the Glen Onoko Falls trail, a must-do if you’re into hikes with waterfalls. 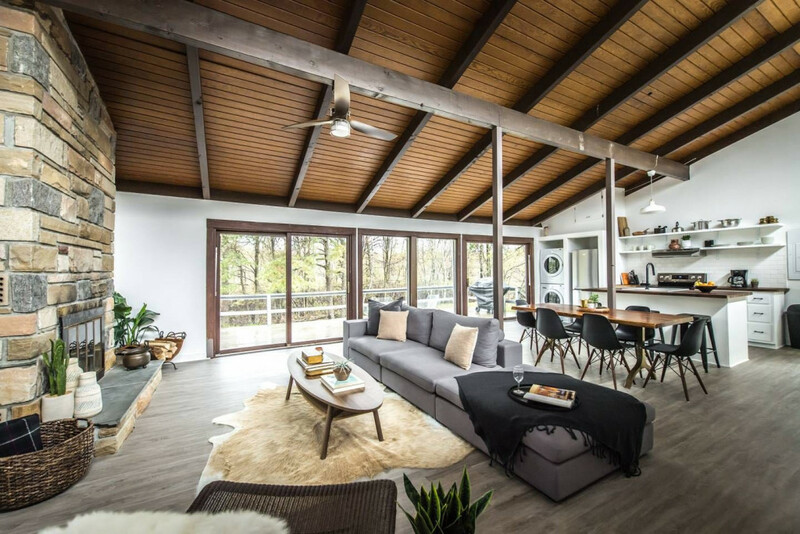 On the chic end of Airbnb cabins near Philadelphia is this modern one with gorgeous natural light. Photograph via Airbnb. This ultra-sleek, two-bedroom cottage near Long Pond has a gorgeous deck for outdoor grilling if the weather’s nice, or you can camp out inside in front of the fireplace with a good book and some hot apple cider. Price: Starts around $195 per night. Where to hike: Big Pocono State Park is good for experienced hikers who aren’t afraid of steep grades. Hit the Indian Trail for some great vistas. For true cozy vibes, this is one of the best Airbnb cabins near Philadelphia. Photograph via Airbnb. If you wanted to feel like you’ve been dropped into a movie set out west, we suggest this adorable four-bedroom cottage near Lake Harmony. Set right in the middle of Split Rock Resort, you’re stay will put you near all kinds of kayak and other boating rentals, as well as recreational sports fields. Plus, there’s a fire pit right outside for all the s’mores roasting and ghost story telling you could desire. Price: Starts around $179 per night. Where to hike: Beltzville State Park, where you can hike to some falls or past historic landmarks, like a 1700s slate quarry. Alternatively, this cabin is also right next door to Hickory Run State Park. 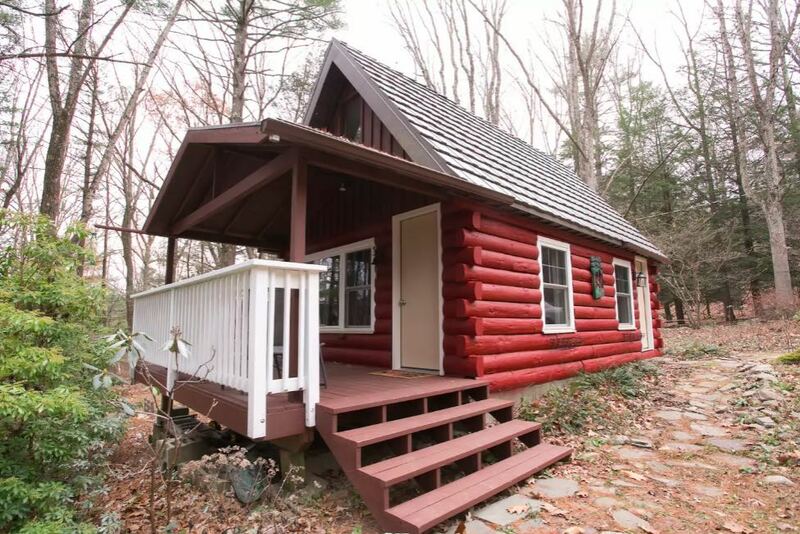 Included in your options of Airbnb cabins near Philadelphia: this adorable log cabin look-alike. Photograph via Airbnb. Lincoln Logs called and they want their cabin back! 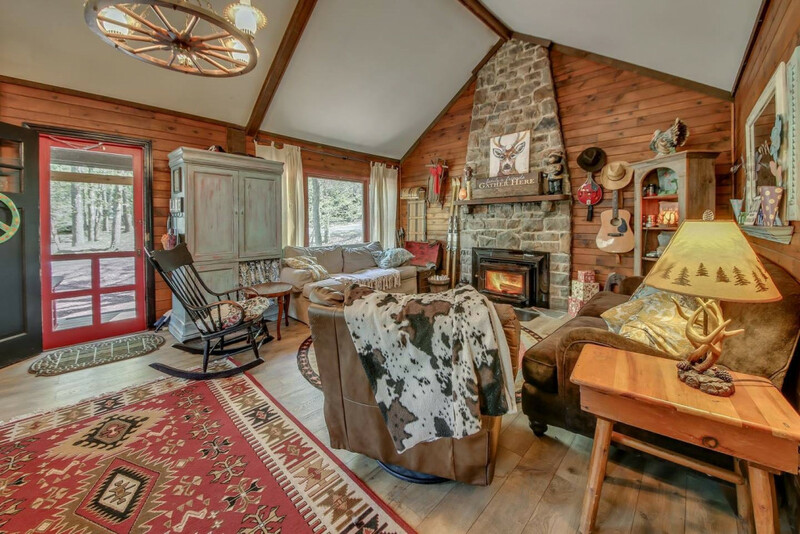 This nostalgic, one-bedroom red cabin near Barrett Township is filled with Nordic-inspired decor, has a grill and fire pit outside, and is situate on 1.5 acres of peaceful nature. Price: Starts around $89 per night. Where to hike: Tobyhanna State Park, where the 10 miles of trails are ranked from easiest to hardest so you can spend the weekend working your way up to the challenge. Take in the views from this Airbnb cabin near Philadelphia. Photograph courtesy Airbnb. 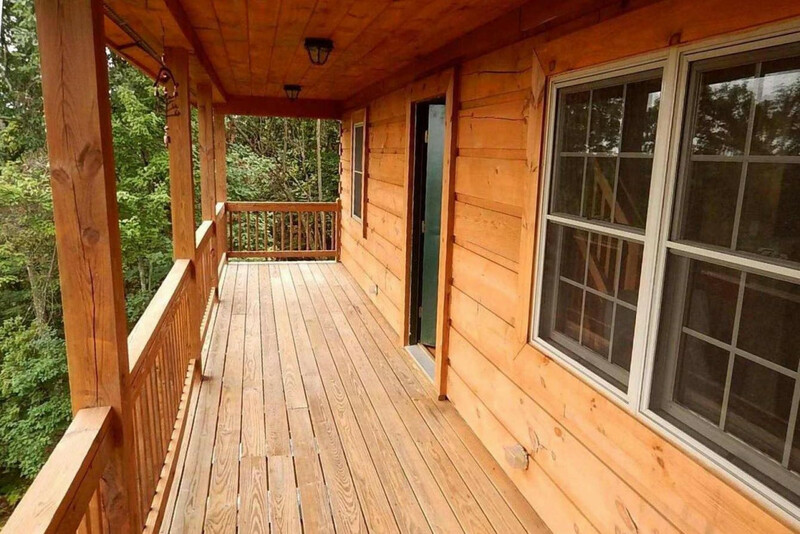 The inside of this cabin may be very wood-panel heavy, but really, your stay here is all about the views from the four-bedroom home’s multiple decks. There are three decks on the property — one of which has a firepit — and all three will provide prime fall foliage panoramas. Price: Starts around $350 per night. Where to hike: Hickory Run State Park, where you’ll find more than 40 miles of hiking trails and streams stocked with trout for fishing.